What a wonderful morning it was for me today! I got up, checked my comments for approval and saw pending pingback comments and tons of spam comments pertaining to Claritin and tie-ins with Madagascar 3. I am writing this post just in case any of my loyal readers, fans and followers happen to come across any of these articles linking back to my site. These sites include Child Health Care Advice, Prutic Network, Rocket News, World Bulletins, News Talk and many, many more including a post written by Mary Tyler Mom who in my opinion is walking a thin line of defamation of character. I really wish people would pay attention and actually read things before posting about someone that they know nothing about and don’t know anything about these “parties”. As most of you all know, I am a member of Children’s Claritin Mom Crew and part of the complaint is that the company turned to a group of bloggers in the Mom Crew group to host a “Madagascar Viewing Party” where we received movies, samples, coupons, and stickers for our party. You can see my party post here. The complaint is that the drug company is using Madagascar tie-ins on their packaging marketing towards kids. Candy companies have also included tie-ins with Madagascar 3 so I guess the biggest part of the complaint is that they don’t want kids to mistake Claritin for candy as it is also grape flavored. I personally don’t see how Claritin could be mistaken for candy just because the Madagascar version features free stickers. But that’s just me but I’m not the FTC and I can understand the complaint although I personally don’t have a problem with it, and I am not saying no one else shouldn’t. It’s just my own opinion. Absolutely nothing different. Their aren’t any characters on the drugs packaging anywhere and the chewable tablets still look the same too. They aren’t shaped like characters either. You just happen to get free stickers. Like I said, I really don’t see how it can be mistaken for candy and another thing is, it’s not like a kid can purchase OTC drugs anyway. It would still be the parents’ responsibility to purchase and to keep them away from kids in their home like always. 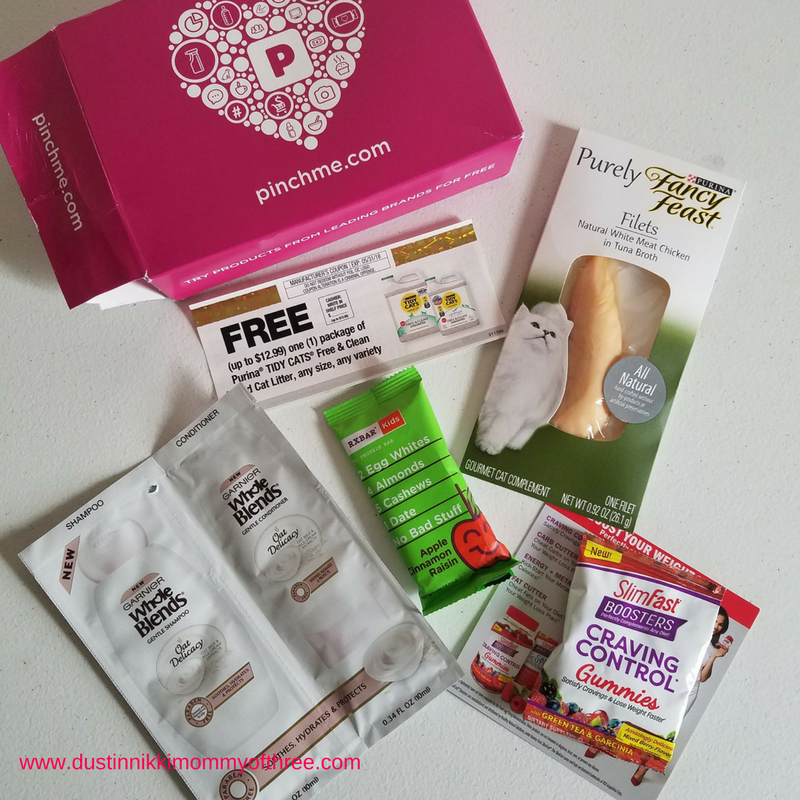 When I received mine, I took the box of stickers off the packaging and gave them to my kids and the Claritin was put away along with any other drug products we have in our home out of reach. I’m still trying to imagine my kids walking through the PHARMACY aisles thinking a product that is clearly Claritin mistaking it for candy. My kids have taken Claritin for their allergies for years. It is a product that works and I stand by it. They know what it is. Anyway, what prompted me to write this post is the fact that there are many, many sites that have written articles and are posting the same articles over and over, creating blog lists, sharing blog photos that they have taken off other blog posts and using them for their complaint. Some of these articles I find very offensive and leaves me feeling beyond upset and frustrated. There are multiple site that are linking back to my blog posts and some of them even say things about blog posting pictures of the drug and food being on the same table and right after that says “blogs such as this one” with a link back to my site. What picture are they talking about? The picture I took of all the supplies I was given to show everyone what was included with EMPTY popcorn boxes?! Are you kidding me?! That was taken well before the party anyway. Again for those people writing these articles all over the place – I NEVER HAD ANY CLARITIN PRODUCT, SAMPLES, OR ANY OTHER DRUG PRODUCT ANYWHERE NEAR ANY FOOD OR ANYWHERE NEAR ANY CHILD!!!! I NEVER had Claritin samples or product around any food we had at our party and they were NEVER near any of the kids I had in my home. I never gave samples to any of the kids and I would NEVER market any drug products towards kids, my readers’ kids, or ANY kids. Drugs ALWAYS, ALWAYS, ALWAYS need to stay out of the reach of kids and never marketed directly toward kids. The point of the party was for the kids to have fun together, play some games and watch movies. NEVER were the kids involved in discussing Claritin. My mom friends and I talked about allergy symptoms and tips and the MOMS were given samples and coupons. The kids didn’t even know what we were talking about! According to some of the articles being posted around is trying to imply that members of the Mom Crew are only members so that they can receive samples. I did NOT agree to join the Mom Crew only for samples or I wouldn’t have even bothered with my party! 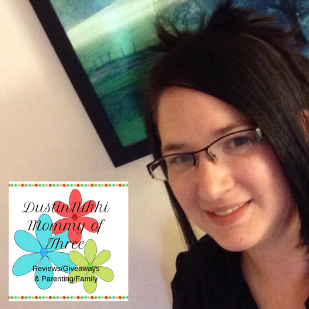 I find it very helpful to discuss things, share tips and more with these other moms as two of our kids suffer from allergies as well as my husband and I. I find these articles disrepectful toward me, my blog and the other blogs that have also hosted these parties. I am a mom of three kids and I am a responsible parent unlike what some of these articles I have come across try to imply. I am really upset about the fact that my blog and other blogs are being linked back to when they say the things they do and what they imply. It is disrespectful to bloggers and what we work so hard for. Bottom line, I can understand the complaint. If any advocate or group wants to make a complaint to the FTC, that’s fine but I don’t feel us bloggers should be brought into it. If you have a problem with the drug company then so be it. I don’t like the fact that my blog, my name, and what I stand for is having negativity brought in my direction. I have already had to delete numerous spam and negative comments from my blog post because of what these articles have implied. I am already seeing the backlash and negativity from these articles because they want to assume and imply things that they have no business implying. When they say “Photographs posted on Mom Crew member blogs show tables with children’s food and product samples of Children’s Claritin Grape-Flavored Chewable tablets, party favors that mixed toys, stickers and other favors with Children’s Claritin samples, and children holding Claritin product samples,”……. and want to include my blog linking back to my post, I have a problem with it because none of that happened! Again, the safety of my family always comes first and foremost. When it comes to my blog, the safety of my readers, fans and followers and their families always come first. NOT once at my party or in my party post did I ever try to market a drug product to kids and I never will. 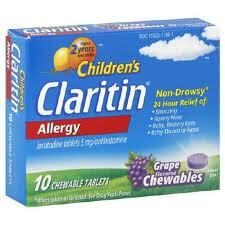 Not once at my party was any of the kids anywhere near our Claritin products or samples. I stand by Claritin because it is a product that works and any discussions about these kinds of products are directed toward other parents – never toward any kids. I promote Claritin because of the results, because it works 24 hours and only needs to be taken once, that it’s non-drowsy, not because of Madagascar. 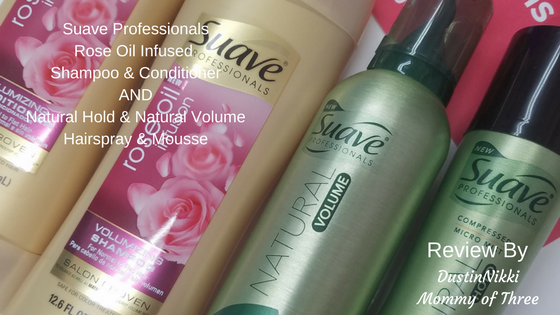 I do not talk about these kinds of products as an expert or a doctor and I have always told anyone to seek advice from a doctor whenever warranted whether it was on my blog or in person. Below is a comment I left on someone’s post which I have refrained from doing. I will be more than happy to talk to or help someone understand what these “parties” were actually about but I will not entertain a discussion with people that make comments about my character, about what kind of mom I am, or comments about the way I raise my kids, my responsibility, or if I ever have my kids in mind. People also don’t realize that when they are defaming me, they are also defaming my friends and family as they also feel the same way I do. I guess everyone at my party are also irresponsible like I am according to what others are saying. “Well, your in luck…I’m a mom from the Claritin Mom Crew. I have refrained from commenting on any posts like these but I have to say, I really respect your post. I think it’s the first one actually. I have ran into so many posts linking back to me that are borderline defamation of character. Talking about what kind of mom I am and what they assumed happened or what the parties intailed which were far from the truth. I actually had to close the comments on the post you linked back to because my blog is family friendly and a lot of those comments were not even close to being family friendly. I had written another post expressing my feelings mainly for my readers and in that post, I explained what happened at my party and how I feel about all of it but it doesn’t seem like anyone wanted to actually listen. I also do not in anyway back or support Merk and I’m not against the complaint. I understand the reasoning for the complaint and think anyone who is for it, should fight it. I respect them for that. The Madagascar stickers on the Claritin doesn’t bother me. And before anyone wants to say something about that opinion, I feel I must explain why. First of all, my kids know what medicine is and they know what Claritin is as two of mine have been taking it for over two years now. None of my three kids have ever asked for meds even when they are sick and they have never pretended to act sick to get it. I think I did my job as a parent to teach them that. The Madagascar Stickers doesn’t get them to want to take them. It doesn’t have any effect one way or the other. So for me, it doesn’t matter. My husband and I was talking about all this the other night and when our 6 year old walked in the living room he said, “what are you talking about? Medicine isn’t candy. It’s medicine. Isn’t grown ups supposed to know that?” Of course the complaint isn’t about individuals, it’s about the whole which is why I am not against the compaint one bit. 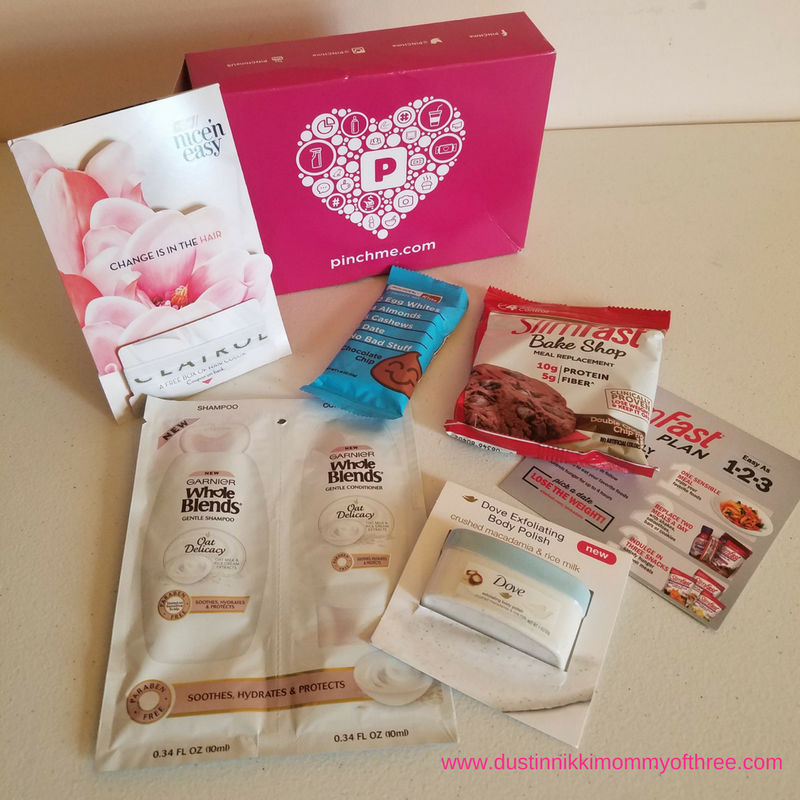 To tell you a little about the Claritin Mom Crew, we were selected because we all have kids that suffer from allergies and the majority of us were already using Claritin. We are a group of moms that share tips, ideas and discuss ways we can help our kids amongst ourselves – other ways to help with or WITHOUT the need for meds. Outside of the group, we only talk to other moms we know with kids with allergies – 9 times out of 10, the ones that I talk to are ones that are also already using Claritin. Not much marketing going on there. We were given the opportunity to host this party so that we can invite over a few of our friends that also have kids with allergies. All of them that were at my party already used Claritin for their kids because like our kids’ doctor, that’s what theirs recommended to them too. While the kids were watching their movie or playing games, us moms talked about ways that help their kids. Claritin actually wasn’t even discussed because we all already knew about the medication. The kids didn’t even know Claritin was even involved. I never marketed anything to any of the kids that were there, never on my blog, and never any other time. Only to other parents and only to ones that we know have allergy sufferers. I don’t have any regrets. It was actually really informative and I have come up with other ways that I can try to help my kids. All the kids had a chance to have some fun together because a lot of the time, mine are stuck inside (which is a bummer because it’s Summer) so they don’t get to go out as often or for very long. Claritin helps them A LOT but there are times when they still have issues which is why the other non-med tips are very helpful. In my blog post, I talked about the kids playing games and watchin the movies while us parents talked and shared tips with one another. I didn’t even mention anything in my post that was even actually about Claritin – never even mentioned how well it works, and not a single marketing pitch in there. All I mentioned when it came to allergies were home remedies that we shared. About the picture I took with everything that we received was well before we even had the party. That wasn’t a party set up. There really wasn’t a setup. The kids just thought they were watching movies because they were looking forward to seeing Madagascar 3 because we were actually planning on all of us going together with our kids. 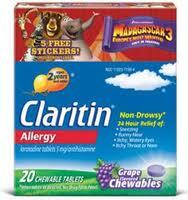 About the Claritin packaging, the packaging itself doesn’t feature Madagascar 3. The packaging hasn’t changed and neither did the medicine. The Madagascar part at the top is actually a separate box with stickers. When I took the plastic off, the sticker box was separate and the Claritin package looked exactly as it always has. Then it gets put up out of the reach of kids like everything else in my home. I am not saying at all that it makes it okay. I want to clarify that I still see the reason for the complaint regardless. I’m just putting that out there as another reason it really doesn’t bother me much. Who knows, maybe they thought that was a loophole to be able to get away with it. You know how drug companies are, they will find any way they can to make money. Bottom line, the complaint is between the advocacy groups, FTC, Dreamworks, and Merk that THEY are marketing to children. Not the Mom Crew. Yeah, we were given the product but we don’t market to children. The only thing in my blog post about the connection was the picture of the product which I don’t see as much different than all the other pictures everywhere else. Like I said, the kids at my “party” didn’t even know it had anything to do with Claritin and I didn’t even actually talk about the product in my blog post either. It wasn’t a party that revolved around a drug and it wasn’t like “yay, we have allergies, lets party” or anything of the sort. Trust me, my kids hate allergies and hate having to go through what they have to go through – especially our son who goes into asthma-like attacks and can’t breathe and it doesn’t matter if the medication had any kind of characters on it – it wouldn’t make them feel any better or want it any more than what they are supposed to take. My kids hate taking medicine. It doesn’t matter if it’s flavored or not and not a single sticker is going to make a difference. I have even bribed them myself and it doesn’t matter. Nothing makes them happy about taking it and in fact, they actually don’t think it’s fair that some of their friends at school doesn’t have to so why do they. They don’t like having allergies and it’s not fun – it never is. Disclaimer: I am a member of the Claritin Mom Crew. This is not a paid or sponsored post. These are my own opinions, thoughts and words and are not influenced by any form of compensation what so ever. Nicole, I was horrified when I read what Mary Tyler Mom wrote. Did she even read your blog? I did. It seemed very clear to me that the kids got to have a popcorn/movie party and that the MOMS talked about their kids’ allergies. Clearly she didn’t actually read your blog post. Hang in there and I hope you don’t mind me linking to your blog, showing you my support. Yep, sure did! I had written this post before I read hers and most of them I could at least tolerate except in a line or two gave misleading information. That’s what promted me to write this post because I wanted to let my readers know and reasure them that my blog is and always will be a safe place. I wish I saw Mary Tyler Mom’s post before writing this though. I really, really got upset after reading that one. It made it out to me like a more personal attack and to me it felt like it was on a thin line of defamation of character. I am not against the complaint, I just don’t really see the problem. If people want to back the complaint, then they should go for it and stand up for what they believe in but THAT post? That’s a whole other level! My husband and I were talking yesterday about all this. He knows how hard I work at my blog and he also kind of took offense to it. He’s not a mommy blogger but he is a parent just like I am. Anyway, we were talking and our nosey children came in the room and our 6 year old had a confused look on his face and quoting what he said, “what are you talking about? Medicine isn’t candy. It’s medicine. Isn’t grown ups supposed to know that?”. I don’t mind at all that you linked back to my blog. LOL, when I first saw it last night, I thought “Oh great. Another one.” 😉 I read your post and I want to thank you for that and thanks for the support! I think that blogging about a party sponsored by Claritin is giving them free publicity. Now they are getting double publicity b/c of the negative backlash. Saying it isn’t marketing is to ignore why you got the stuff free in the 1st place. Sure, you could have just taken the samples and handed them out to your parent friends, but publishing the photo of the drugs with the gifts you got with the drugs, you do become part of the drug’s marketing campaign. Please don’t for a moment think that you aren’t part of big Pharam’s (inexpensive) marketing plan — you are doing most of the work for them and you are the one getting all the grief b/c it’s just a bad idea. I’m truly sorry you are getting negative feedback. But when you accept gifts to promote products that should not be marketed to kids, you can’t expect everyone to jump up and be excited for the way you / corporate America acts. I approved your comment so that I can reply. My problem is not the complaint itself. I did state that in my post. The complaint is between the FTC, Merk, and Dream Works – Not us bloggers. We don’t work for Merk or Dream Works. We don’t market to kids – at all. That is what all these articles and posts imply – that we are which is not true at all. My problem is the fact that there are tons of posts about the Mom Crew spreading false details about the parties, what happens at the parties and the way we market. I never said it wasn’t a marketing thing. The point is, we DON”T MARKET TO KIDS!!!! I don’t understand why anyone can’t get that. Spreading false assumptions about someone and sharing their link back to their site along with the bashing that is also untrue is actually unlawful. That’s the point to this post. The Mom Crew was designed to get moms together who prodominately already use Claritin and has kids with allergies. The point of it is that the group of moms (that I have grown to know) can talk together and share tips with one another about our kids’ allergies. We don’t try to convince parents to use Claritin and we never talk to kids about using Claritin. In simple words, it’s like talking to our friends about everything – not “parents down the street”. The point of the party was not to market the drug to our friends’ kids. The kids had a chance to play together and watch a movie while us MOMS – the adults, had a chance to share tips, what our kids go through, and other ways we can help them. The kids at my party were not around the meds, didn’t receive the meds, and the party was not revolved around the drug at all. The posts where it says there was a mixture of the drug samples and drug product on the same table with the kids’ food and then link back to my site implying that was true is an absolute lie. That’s the point of this post, that’s the negativity I am receiving and that’s the negativity I am talking about. The posts all over the place is also misleading because the medicine hasn’t changed. The packaging is NOT different, the medicine is not different. The packaging does not include characters and neither does the medicine. The only difference is that this version has a SEPARATE box of stickers that are removed from the packaging. I understand if people have a different opinion about it which is fine. Just because I don’t see the problem, does not make me a bad parent. If someone else sees it as a problem, they have every right to share their opinion. I could care less if Claritin has stickers or not. It doesn’t matter to me one way or the other so anyone who is against it, join in the fight against it. But when it comes to spreading lies and bashing bloggers in that way, it becomes something totally different. We have used Claritin for over two years now. We had a party with our friends and posted about it. The sad thing is, if there never was a complaint made to the FTC, it most likely wouldn’t be getting all this attention. When we received ours, I took the separate box of stickers off and put the medicine away like I always do out of reach of my kids. Ultimately, it is the parent’s responsibility to keep drug/drug products away from their kids and teach them. My kids don’t ASK for meds. The same blog post “Mary Tyler” even says her son asked for meds when she was talking about flavored meds. She even says that’s why he takes them and even noted the fruity pictures on the package. Who’s to say he didn’t want the meds he saw on the kitchen table because he saw the grapes? She talks about how her child asks for meds or says he has a headache just so he can try to get some because of that, but yet blames it all on the stickers that came with Claritin. You know, none of my 3 kids have ever ASKED for meds at any time in their life. Bottom line, people can be upset about this all they want. But they do not have the right to spread false information and lies and attach it to me and my blog. And again, I do NOT and the Mom Crew DOES NOT market to kids. And for the record, just because I may say I really don’t see the problem, isn’t because I am a member of the Mom Crew and it doesn’t mean that I am backing Merk on this in any way. I know these companies are in to make money any way they can. That’s what they do. I don’t mind negative feedback when it comes to others sharing their opinions on the matter. I actually like to see what others think about things even when they have a different opinion than mine. I agree on a lot of things when it comes to Big Pharma but when it comes to me and my character, that’s a whole different kind of negativity and that’s the negativity I am talking about. I am backing MYSELF for the misleading and misconception about ME and when someone writes a post such as Mary Tyler linking back to me, makes it personal when none of it is true. I don’t need characters to get my kids to take any kind of meds and that comment and a lot of other comments in that post is messing with my character. This is well written and perfectly stated. It is unfortunate that honest and responsibly mothers, who happen to be bloggers, are pulled into this. Thank you Amy! It’s just been really frustrating reading a lot of those articles out there making us sound irresponsible or making our blogs look bad. I mean, I see the point of the complaint but I think these articles go way too far which is why I felt I needed to write this.